The OEM camber bolt kits for Honda s2000, which are broadly similar to those in the picture, were £30 each ten years ago (ie £60 a pair). 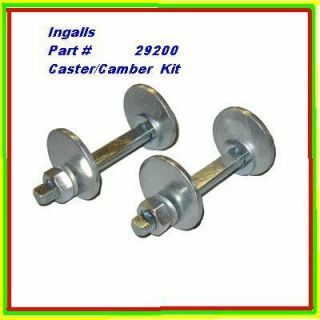 When my son managed to lose one of the calliper bolts while changing the discs and pads on his car with his friend who claimed to be an experienced mechanic, I took the surviving bolt to the local fastenings supplier and they had a suitable bolt for a couple of quid. With time, I’d have found such an establishment but I’ve ordered the bolt as I need to be able to ferry five kids, an adult and my good self to the wildlife park on Saturday. ‘‘Twas a choice of a slap round the chops from ‘er indoors for spending £20 on a bolt versus a full roundhouse kick to the jaw for ruining a birthday outing. An easy choice. This is obviously not tenable with Her Madge as the builder is back next week and with his vans and skips, etc moving around the drive might require reverse, which she ‘doesn’t do’. A plan is in place for the Red Bus, however it is unlikely to yield a spare space on the drive due to the potential swap based nature of the transaction (intrigue*). I had hoped of the possibility of wife using the swap as her daily instead of the A1 due to the absurdly small rear space in the modern, bits it’s just too far the wrong side of ‘I don’t care what I drive’ for her. Swap will therefore happen with a roffle or follow on swap. I’m sure it will be fine, see spousal correspondence attached. How do the two big buses compare? Weirdly, or maybe not so weirdly similar. The Sharan’s a nicer place and the newer dash means stuff doesn’t go sliding everywhere like the Galaxy. It doesn’t have the swivel seats my mistake, I thought it did but heating up your bum is all very sophisticated and just in time for winter. Obviously coming off roundabouts and junctions, there’s a lot more poke in the V6 and it makes it easier to join motorways as you don’t need the run up but I kind of like the noise of the 8V 2.0 as you worked it to get going. Might be the six gears but up the steeper bits of the A66, I still found myself losing speed like I did on the same stretch in the Galaxy unless I stirred the gearbox. If I remember it was a case of third in the Galaxy but fourth in the Sharan today. There’s a lot more leather and spongy vinyl than fabric everywhere too, the lid to rear box is even padded and there’s more speakers, etc. I think the suspension needs more urgent attention on the Sharan, the Galaxy has the odd knock from the front over bumps, the Sharan has a bit of a clatter at the rear. Definitely* want to find out what that noise needs to resolve it. Galaxy has been a real beauty in my ownership though, has moved bricks, plants, beds, taken us all up to scotland and back and about another thousand miles of holidays. It’s had a full plugs and filters service and now has a new battery, new rear brakes and pads all round, plus lots of little highly bits sorted. No idea what sort of person would want it though ???? I think the Sharon will be another adventure for you. Well, whoever has the Galaxy needs to be vetted thoroughly to ensure that they are worthy* of owning such a tidy beastie. Since cubby holder fetishists exist on there forums, have a shifty from the front of the Sharan. A plethora of storage. Thought the Gal was a bit lacking in that department. Yeah, Galaxy Mk1 was the period of Ford Swoopy Dash design so every corner, crap goes flying, I got a high friction mat for the dash top but the layout of the Galaxy is a hit random and surprisingly sparse for storage. I have a cup holder from a mk3 Mobdeo I was going to modify and fit my moving the radio one slot lower but I never seemed to get round to it. Faced with the prospect of watching the undoubtedly dire John Wick 2 last night, I proceeded to exit the house and turn my attentions to one of the many mystery black boxes of bits that cake with the Galaxy. Fairly simple arrangement of about 19 screws to get the rear cover off and then a bunch of 8mm nuts and should pull off. 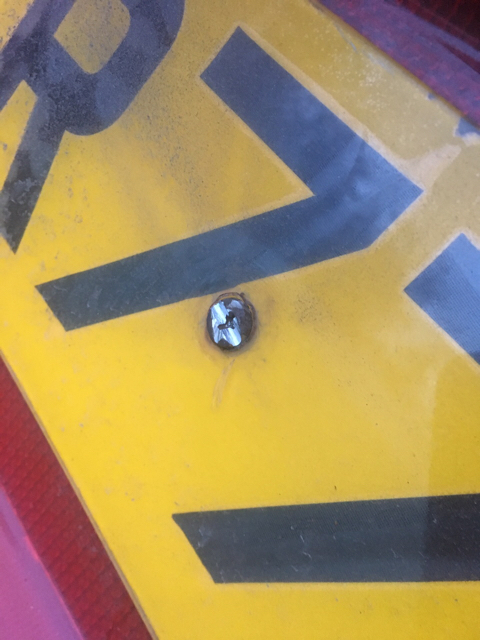 Rusted number plate screw had other ideas so Dremel was deployed. Could have done it in seconds not minutes with the angle grinder but didn’t want to risk a big gouge in the bodywork. Fitting is reversal of removal, etc. Temporary number plate solution needs work. I was so jubilant at my success I even put the cig lighter in to complete the interior. Looking at it this morning, we have a slight shade difference in rear lights which will no doubt drive the new owner mad, if they had any kind of two bucket wrong ‘un based OCD. Note, wheel trim removed for brake related activity, I haven’t gone ‘Chav Scene’. What’s the price of using the ponies and having a hilarious commute to work? About 10 mpg worse than normal. It is hilarious not because it is a missile but because it is brisk and like the Jag, people just don’t expect you to hustle it along quite so sharply. Aside from what sounds like the clatter of a Greek wedding happening from the front every time I hit a pothole, it seems to be driving ok. I think the juddering brakes 3 miles into purchase was a legacy of being stood and then asked to get from 60-0 fairly briskly for me to take a telephone call. Touch wood they haven’t jammed on again, I was seriously shutting it about how to get home from Scotland for the next 500 yards after setting off as it shook the fillings out of my teeth. Anyway, performance vids, not fantastically fast, sealing the hole in the exhaust may yield more powah but at least it sounds rather fruity. It’s the flexi that’s leaking though, so queuing in traffic gets a bit relaxing* a la hosepipe in the window unless you have recirc on. I’ll get shot of the Galaxy and Jag before I start spending on this though. 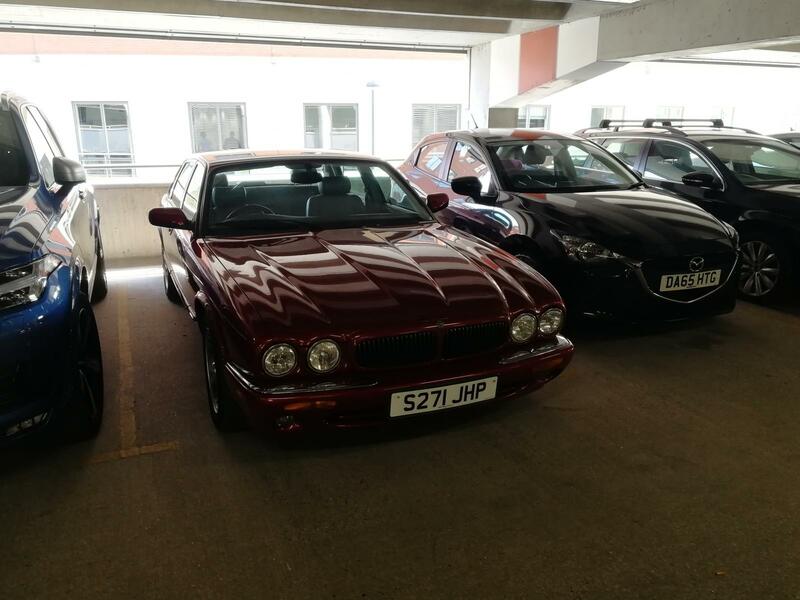 It's a lovely sunny day...and sadly my time with the Jag is coming to a close. It's had a wash, a check of fluids and is ready to be handed back to HIllmanImp as my driveway is full of skips now. Apart from a headlamp bulb and a new wiper (which was optional but felt I should lavish* some attention on it) it has wanted for nothing. Except a lot of petrol, naturally. 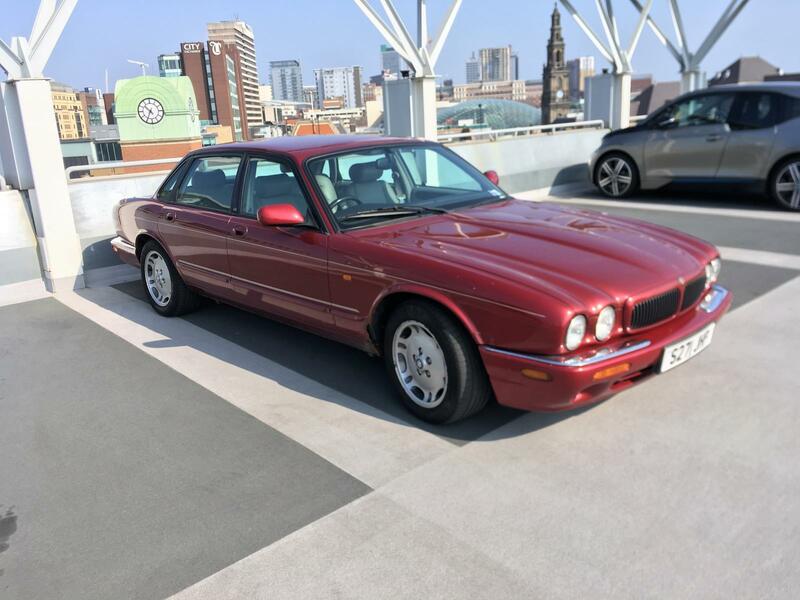 even then, it hasn't been that bad, it's done a few long trips and has held up to about 20-21 mpg over about 800 miles and I'm grateful very much for being able to scratch the Jag itch. Finally found a parking space in NCP. Not sure what's going on in Leeds today as there are normally some spaces. Thankfully I've managed to blag a cheap ticket from work so wont be bummed NCP styleee. Also saw this as I was driving in. 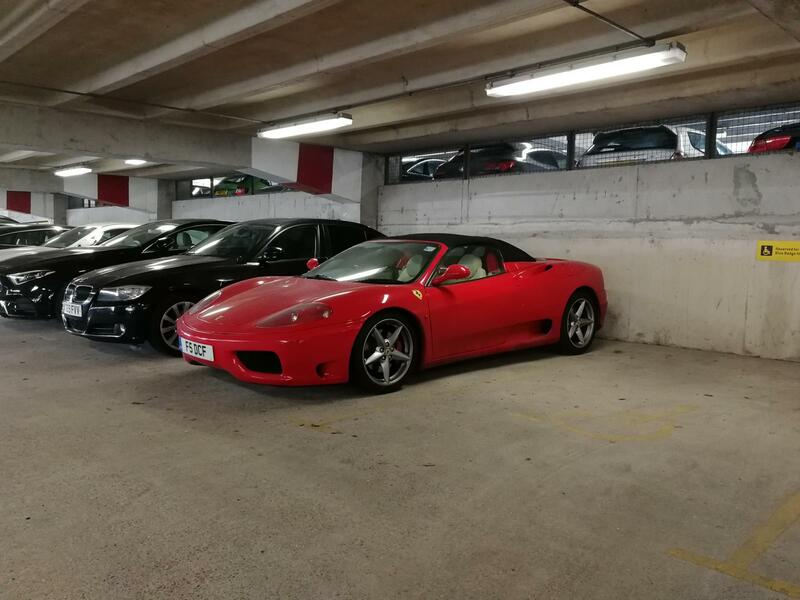 Showing off as they can afford NCP car park fees. Ta for looking after the car. Will now commence operation 'bodge through the MOT'. It's been grand, fortunately the noise of the VR6 Shazza is an acceptable substitute for the woofle of the V8 as it started every morning. I've fancied a VR6 Sharan for a while. I remember turning round after hearing one being thrashed, and smiling in surprise when I saw it. An auto would be brilliant, I reckon. Even less mpgs but more wafty. They are a brilliant combination of absolutely horrible (for my money this is exactly the point at which VWs lost that solid feeling that made them nicer than "lesser" marques, and at the time I felt the Sharan was one of the worst offenders, being a Ford with extra plastic) and lovely (what an engine! ), plus mega practical (obviously) and impractical (mpgs). So wrong, they have to be right. 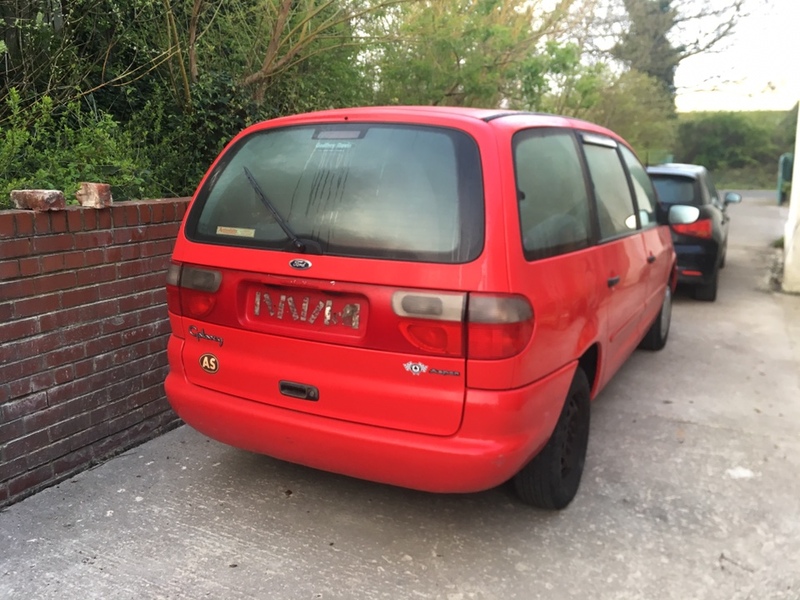 Actually if anything the Galaxy you're selling kind of makes more sense as it's not pretending to be a nice car, rather it's a cheap practical motor in typical not over engineered Ford fashion. I'm well tempted by it but I don't think I can go there. The Sharan is one to -have- owned. Don't think I'd be able to resist a couple of randoms come the inevitable. I do a lot of weekends away, and I've considered using a Galaxy/Sharron as a bit of a mini camper come bike hauler. Imp Jr was just finishing his tea when I got home. I told him to put his shoes on as I had a surprise for him and he said he wanted to go in Meg. I explained Meg wasn't here and he went outside and saw..... "THE JAAG!!! 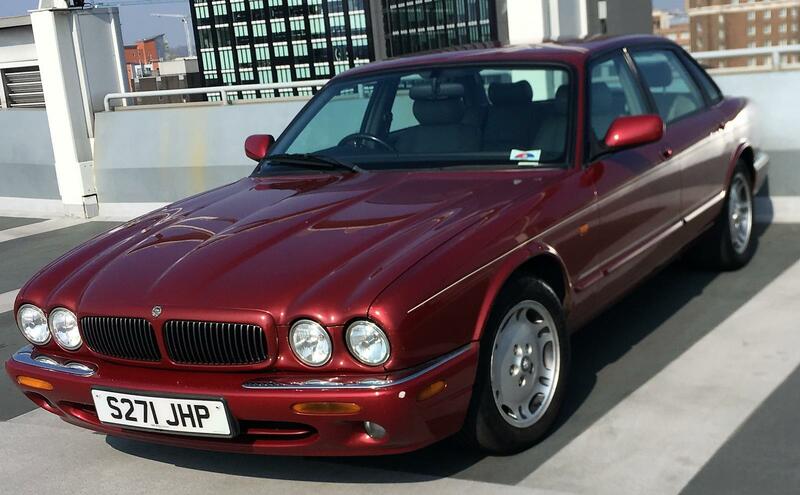 I love the Jag. 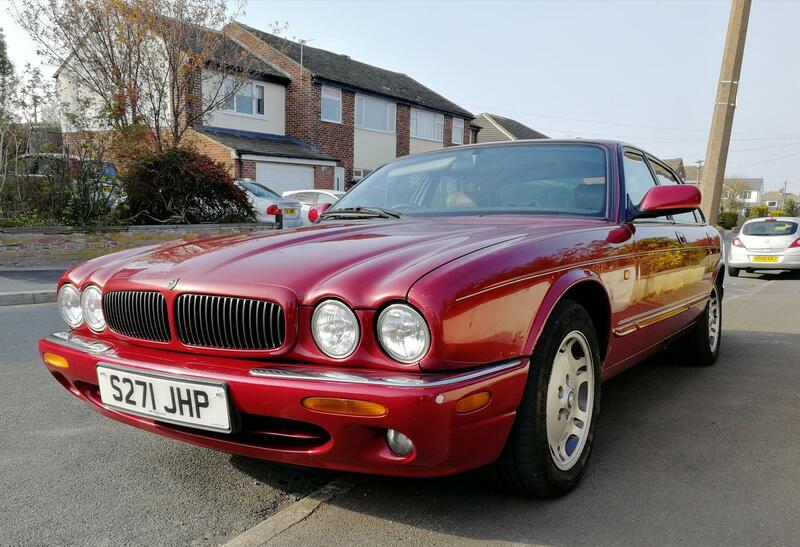 I've not seen it since the olden days"
We picked Meg the Visa up from the station and I had to take his "Jag seat' out and put it back in the XJ8. Incidentally I thought it was knackered on the way home as it wasn't kicking down quite right but then I realised it wasn't in sport mode. I don't think I've ever driven in 'normal' mode before. Was soon back to normal with the push of a button. Parenting done right. Top work! It really won’t entertain the idea of Sir attempting to use all the horses in normal mode and kickdown will it? 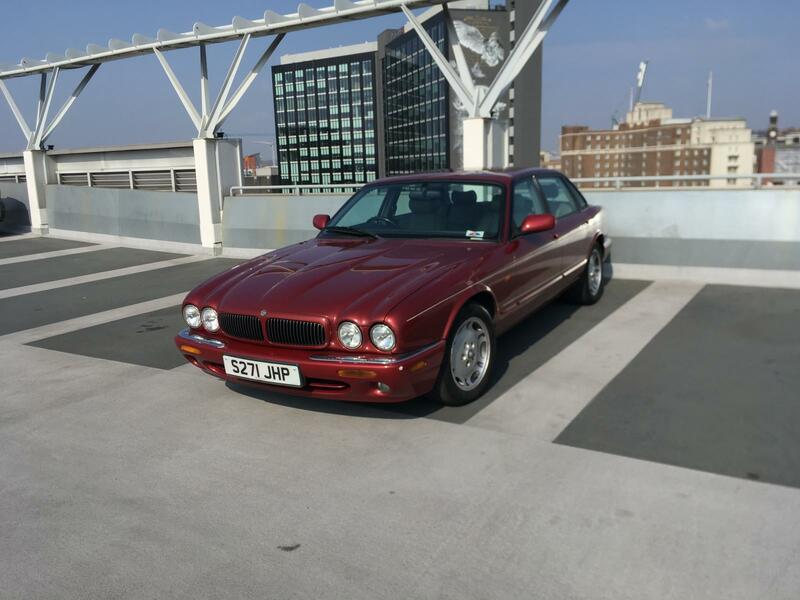 It definitely drives better in sport, trying to squeeze into a gap in traffic with a squirt of juice does almost nowt and caught me out once or twice. In general I mooched around on the way to work in normal mode but used the sport button as a sort of manual kickdown / push to pass switch! Back on to the Sharan, I replaced the battery in the remote to no avail. I have a suspicion it works the locks but is not coded properly. This is because every attempt to unlock it and start it sets the the horn honking for five minutes like a donkey being tugged off. It then inexplicably stops and everything continues as normal. I have a temporary solution involving not locking the car and using the rusted horror of the exterior as the primary theft deterrent but I appreciate this is not sustainable long term. Might sniff at the oil and filters this weekend as it’s going down south for a jolly over Easter. The weekend has revealed one other advantage the Galaxy has over the Sharan, dark leather and dark trim on the doors means I’ve burnt my arm and glued myself to it, like the aftermath of a scouser dropping an errant fag on his shellsuit. Oi, I've never worn a shellsuit or smoked!!! Sat here boiling to death in the hand car wash, what’s there to sort on the Sharan then? - Small leak on drivers side door seal at top, discovered as the hand car wash has just dropped into my leg. - Rear passenger window not working, off main or passenger switch. - Indicator lens needs replacing on passenger mirror. - Alloys are raggedy as, but tyres all good so possibly a sand and rattle can paint for now. ^^ If ever a post said 'make me an offer', this is it.